The Tornesh dryer is an innovative drying device combining many of the benefits of fluid bed and flash drying. 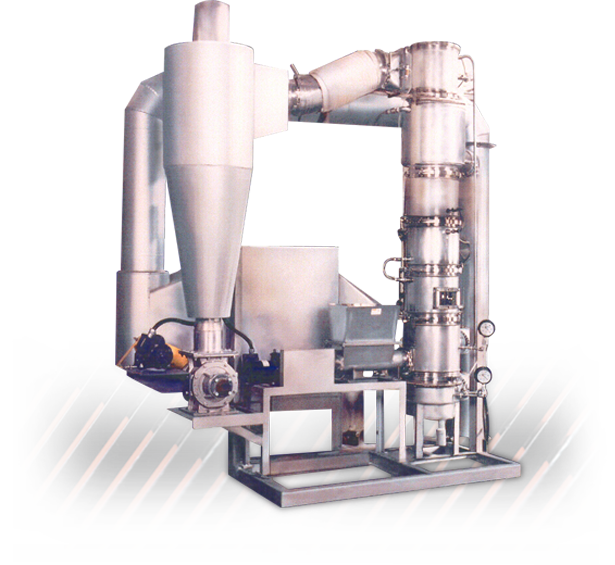 Carrier Tornesh dryers can process wet solids ranging from 1 micron up to one-half inch diameter. In a short time, the dryer discharges wet materials as dried product. There is no adhesion of powders after the drying process, therefore grade changes occur quickly. Multiple industries, including food, dairy, pharmaceutical, grains, solid chemicals, minerals and ores. Lower discharge moisture goals. Tornesh dryers provides much longer retention time than a flash dryer. A Tornesh dryer uses hot air from a direct fired natural gas burner to dry and elevate wet powders, using a swirling airflow to increase the residence time of the product in the flash tube. Materials to be dried fall to the bottom plenum of the unit and begin to swirl in a cyclonic pattern like a tornado. As moisture is removed from the product, it becomes lighter and eventually is entrained in the upward hot gas stream. 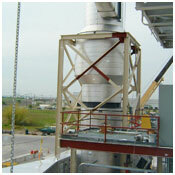 Tornesh dryer units can be used as a primary dryer or pre-dryer in a multi-stage system. No internal moving parts – dryer is easy to clean and maintain. Adjustable retention time for precise process control. Process gas can be re-circulated to reduce emissions, save energy or recover vapors. Carrier Tornesh dryers require less floor space and are easy to install. Furnished through a license agreement with NARA Machinery Company, Ltd., Japan — a world-class leader in fluidized bed technology. For more information on the Tornesh Dryer, refer to brochure #16512.